Anyone know if James Vicary has a Twitter handle? Twitter consists of three types of people: 1.) IRL folk. 2.) Anonymous cowards. 3.) Everyone else. That last category is a bit tricky because those could be fun parody accounts, corporate brands with a small army of community managers, trolls who hide behind the ubiquitous egghead, and then there are the subtweeters. Because the blessing (and often, the curse) of Twitter is found in the connectivity of the platform. 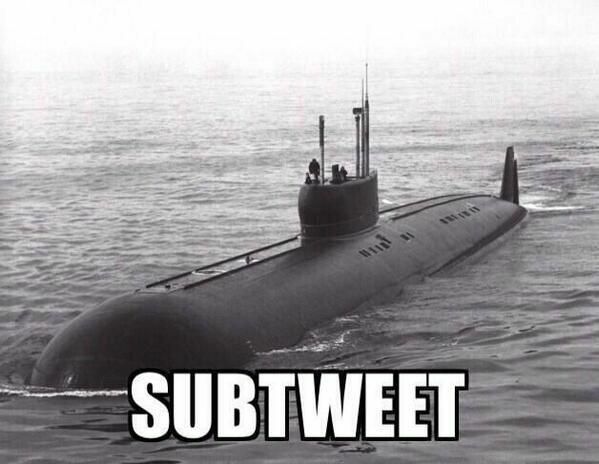 However, some folk still want to talk behind someone’s back, which has created an art of subtweeting. Such a popular practice on Twitter that its corner office types have decided to file for a trademark on the actual word. Yeah, what he said. So, what has Twitter said?